Please enter which plaid color you'd like and which scripture from the choices pictured. 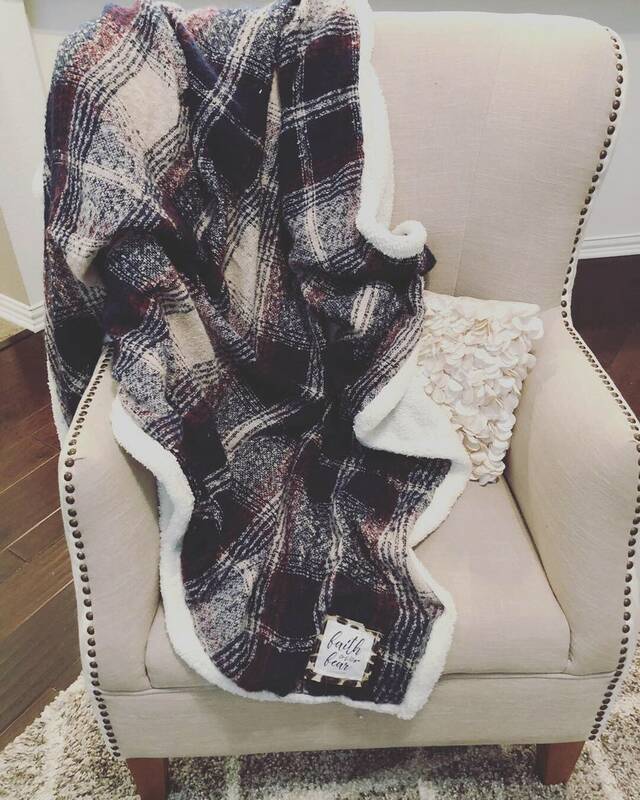 This is a super soft plaid oversized throw blanket with a scripture patch. Please choose your blanket color and scripture from those pictured and list in the notes when ordering. The only colors left are a navy plaid and a rust plaid. The blanket is beautiful. Very soft and the scripture passage is just the perfect touch. It was the perfect gift for my aging mother-in-law. Thank you for the wonderful communication and the quick shipping. Merry Christmas and Blessed New Year to you and your family!